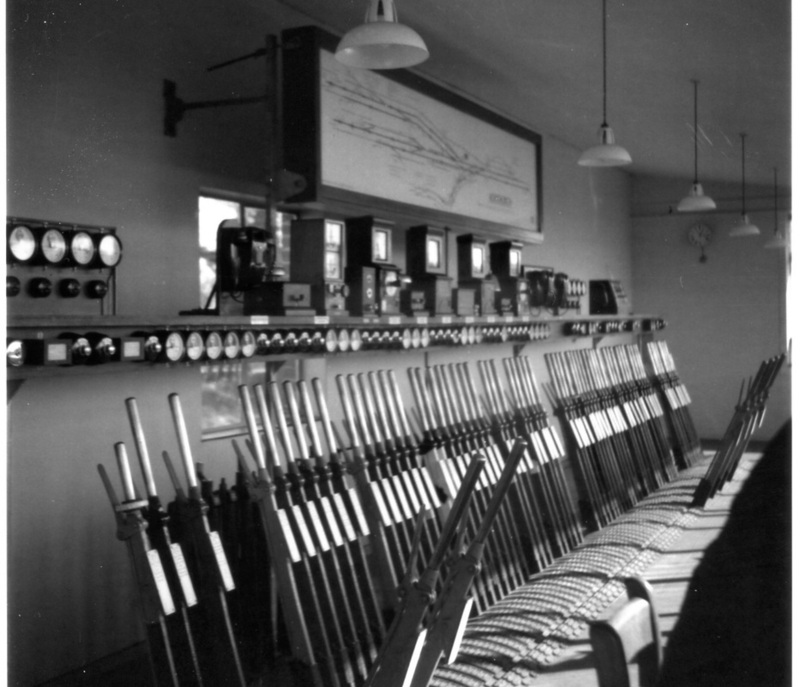 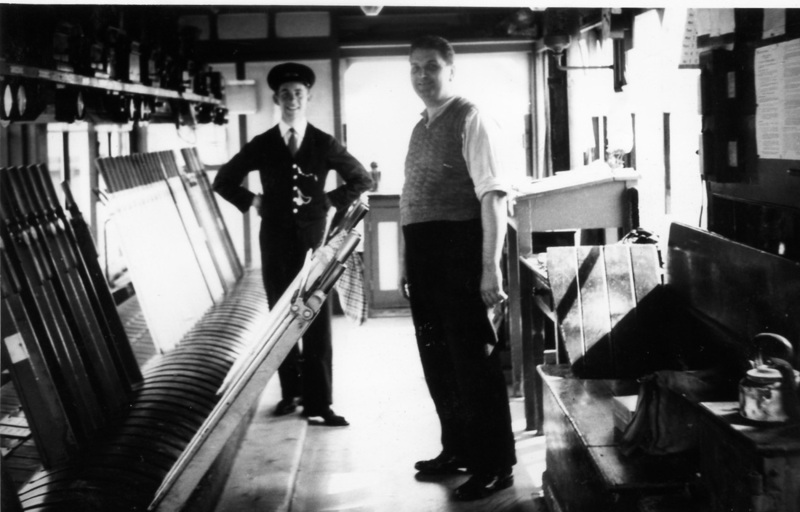 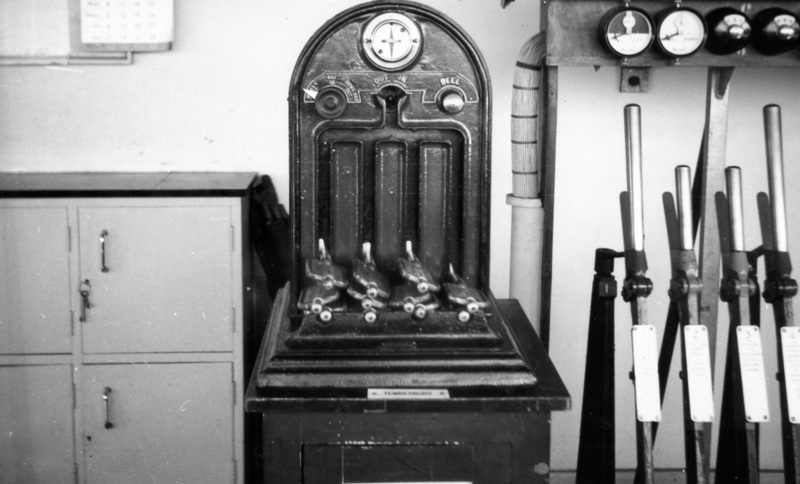 Inside Ashchurch Station signal box, early 60's. 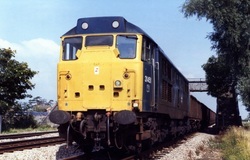 31451 pulls into Northway loop with a Down freight. 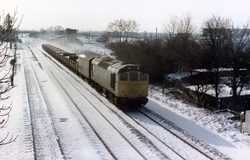 31123 on MGR at Northway passing a looped freight train. 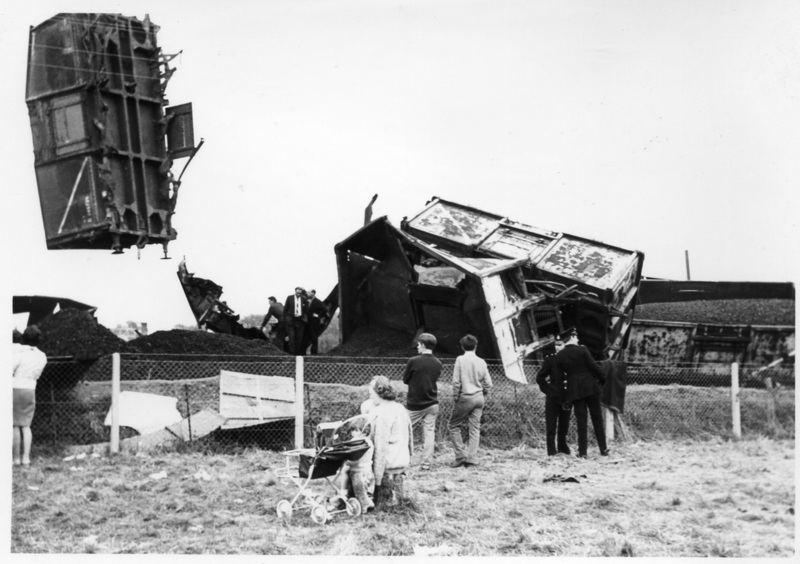 21/11/83. 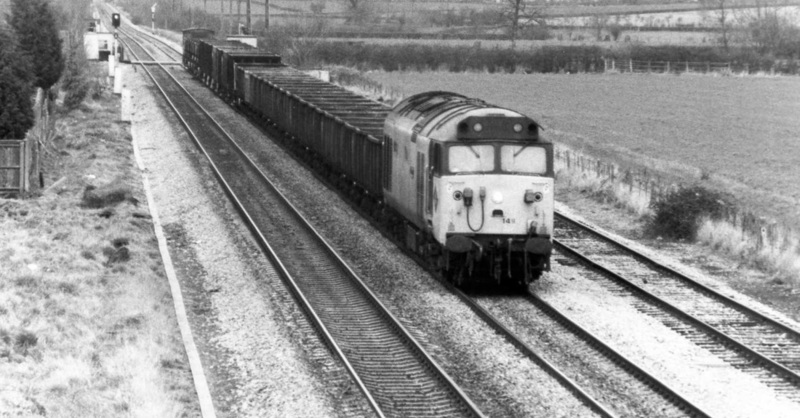 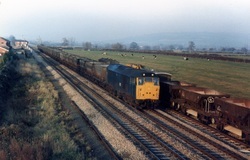 25283 passing Northway with a UP freight.11/02/85. Can't blame me for this one. 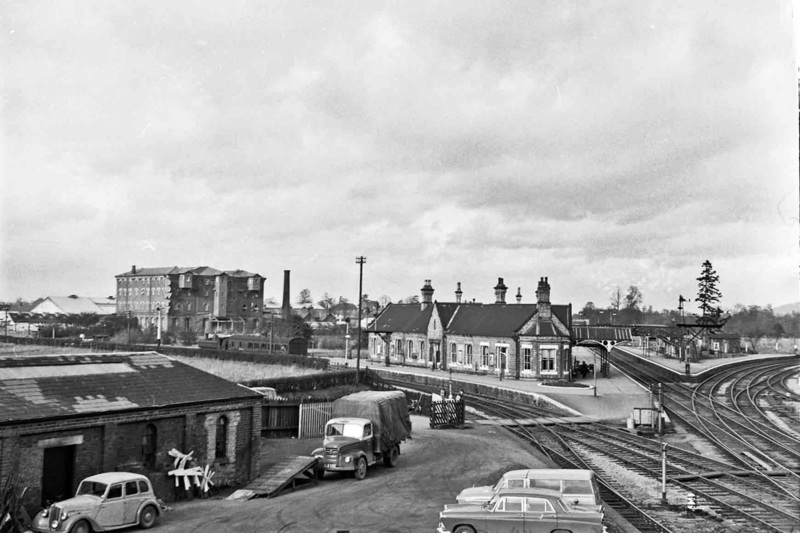 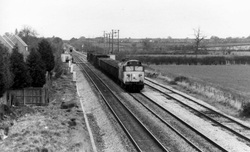 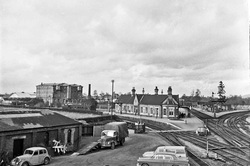 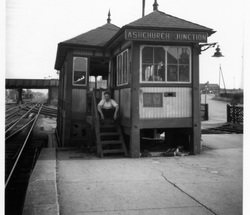 Ashchurch Station, Tewkesbury branch showing on the left. 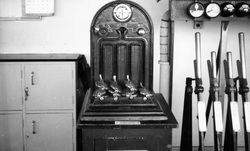 Token machine inside Ashchurch Signal Box, tokens are for the branch line to Tewkesbury. Lever frame inside Ashchurch Signal Box. 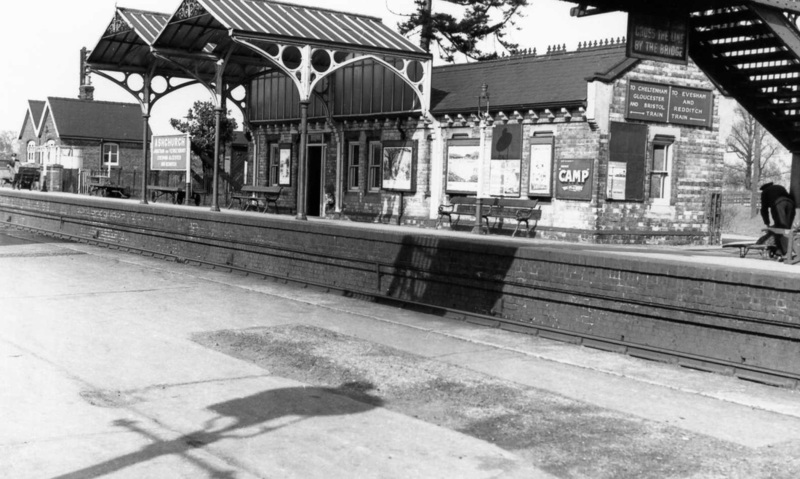 Ashchurch downside platform, late 1950s. 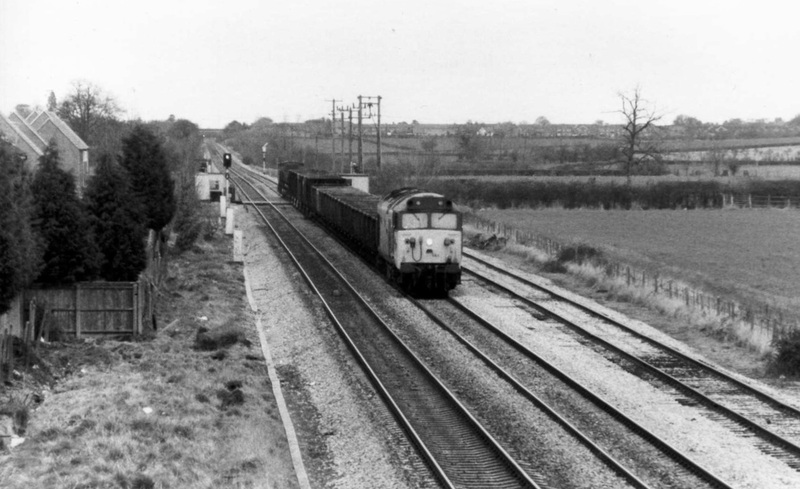 50149 passing Northway with a Worcester to Gloucester freight.